I had a bit of free time on the weekend and decided I wanted to do some baking. Mum suggested that I bake something that could be put in the freezer for Christmas time as she is starting to freak out a little with all the baking she has to do as we are hosting Christmas this year, and with all the family in NZ they wont be able to bring any baking with them! I also liked this idea as it meant that it would be gluten free – as not all of the Christmas baking is going to be – both my uncle and I with coeliac disease are the minority! 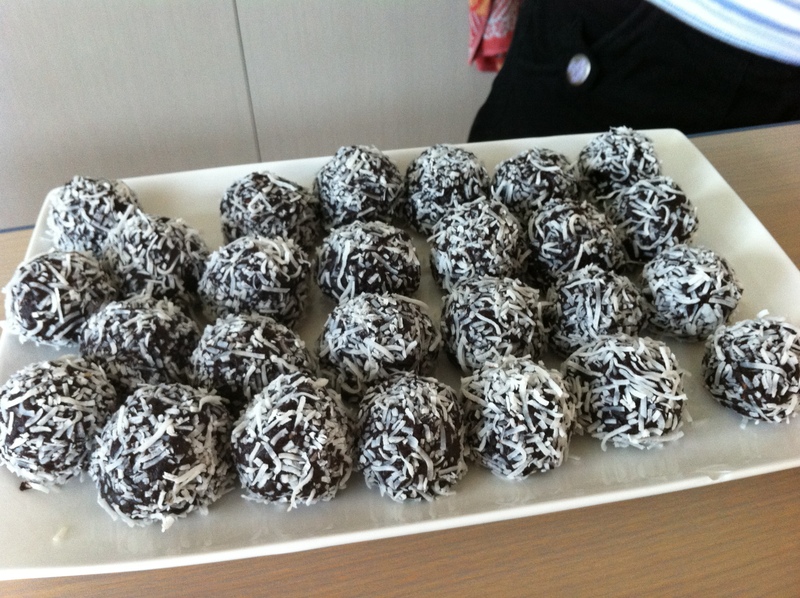 One thing that I love that Mum always makes at Christmas time is rum balls. 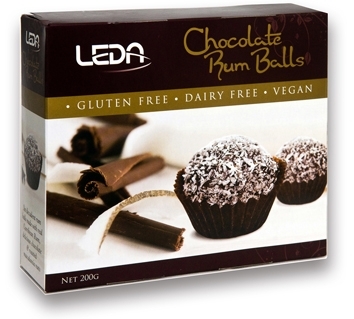 I remember being very disappointed last year when I couldn’t eat them so I went out and bought some of LEDA nutrition’s Rum Balls. Now don’t get me wrong, these Rum Balls are amazing! Even my non gluten free friends will scoff them down. However it does get a bit pricey buying these all the time, and I find it’s more rewarding when you bake your own food. I therefore googled ‘gluten free rum ball recipes,’ which yielded a number of results, however this one caught my eye as it was quick and easy. To make them I used Freedom Foods Sultana Splitz biscuits however I only chose these as they were on special and I needed something reasonably plain or resembled the flavours in the rum balls (e.g. coconut, sultana). I tried one of these biscuits separately as had a few left over and I have to say I wouldn’t buy them to eat as biscuits as they were rather plain, however they worked very well for the rum balls. I made a variation to the recipe, as my Mum’s famous rum balls always have a surprise in the middle – either a piece of peppermint chocolate or a piece of crystallised ginger – so you never know what you are going to get! These look awesome Petra! Now the challenge will be making sure some last until Christmas. I know if they were in my freezer I’d be sneaking in there and pinching one every five minutes. I have just tried the famous rum balls and decided I need to lock the freezer until Xmas time. Very awesome and not too rich! Yum! They look great and I like the sound of the crystalised ginger in the middle. I might give this recipie a go this weekend. Oh yummy rum balls! i am addicted to the Lifestyle Bakery Christmas puddings! I look forward to them each year! Where do you buy Lifestyle Bakery’s Christmas puddings?